I missed a visit to Sussex Prairies a couple of weeks ago so as the weather was lovely at the weekend we decided to pay a visit. I’ve been wanting to go for ages! We were a bit late for some of the perennials which were finished already, but there was still plenty to see, especially the grasses which were looking fabulous. 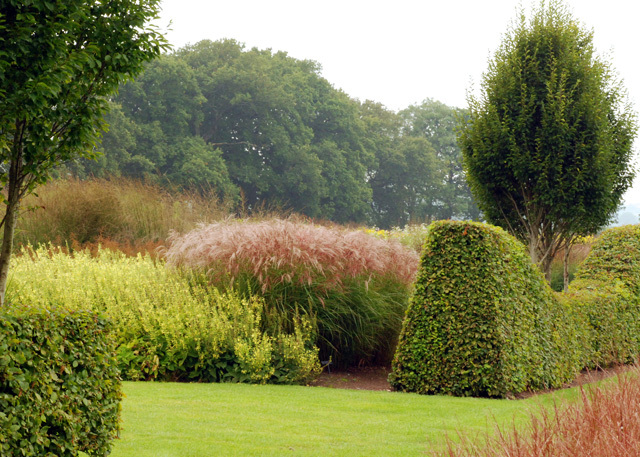 The great thing about this sort of planting is that many of the perennials and grasses look fabulous in winter too as they keep their shape and form. You can just about see the faded plumes of the Astilbe above which have now gone brown but still give structure and texture against the other planting. 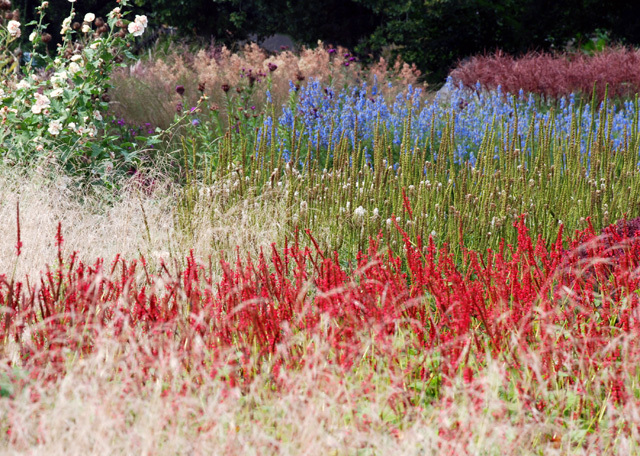 At this time of year there’s an autumnal feel to most gardens and I love the way the bronze and red foliage contrasts with the fluffy flower heads of the grasses. There were various pieces of sculpture around the garden and also places to sit within the planting. 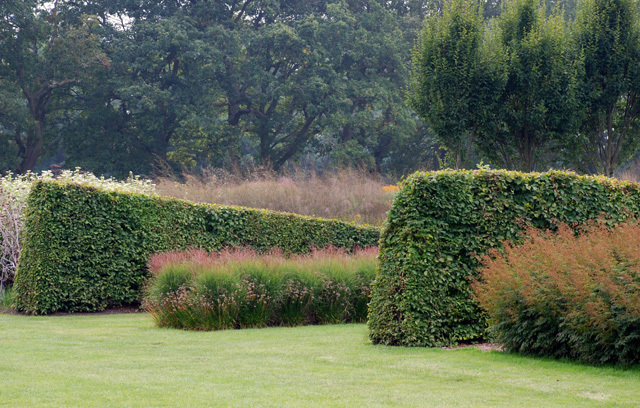 I love the simplicity of the image below with the sculptural beech hedges which form the central vista through the garden from the tea room (see first image above). 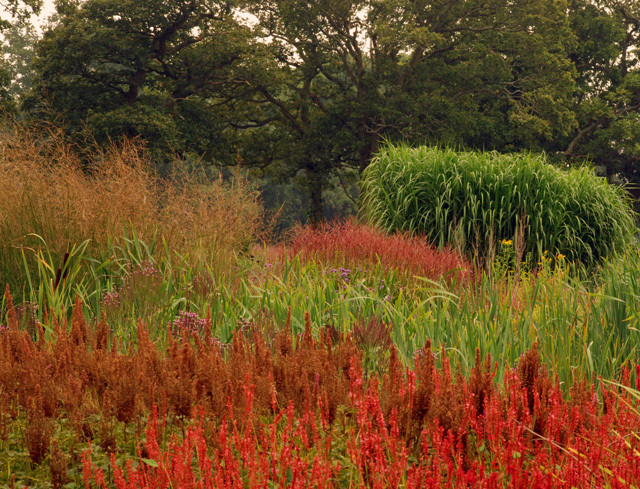 Some of the perennials were still looking great too – lots of red and deep purple. 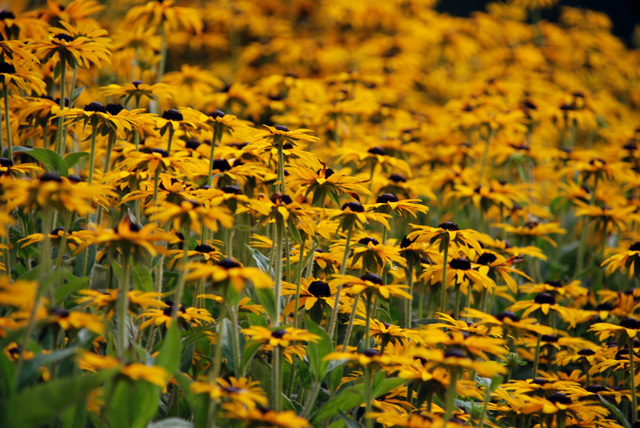 And of course Rudbeckia were also in flower, shining out like a gold beacon – it’s such a brilliant perennial for late colour, I love it! 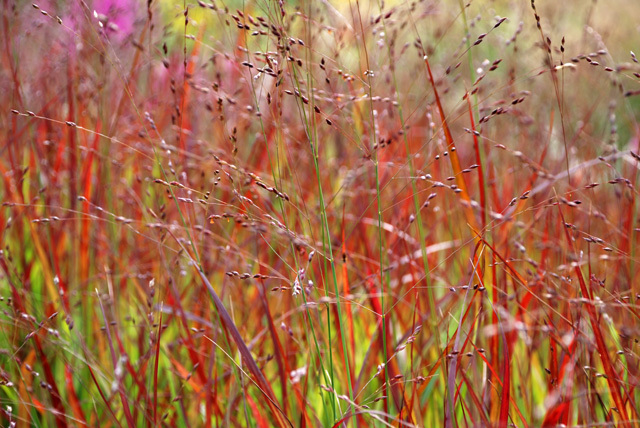 And my favourite grass was Panicum virgatum ‘shenandoah’ with it’s gorgeous deep red and purple foliage and flowers. 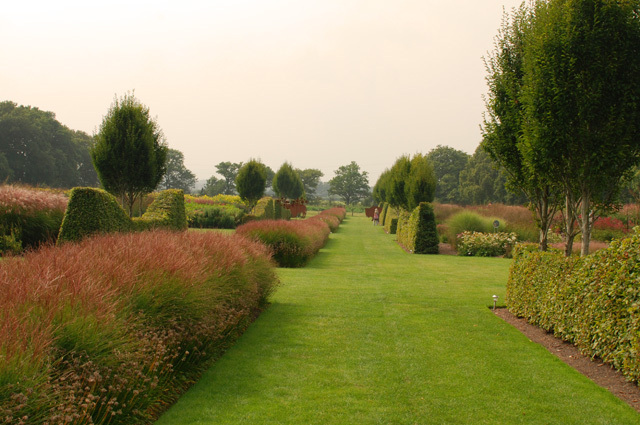 Sussex Prairies is open from 1pm-5pm everyday except Tuesdays until 12th October. It’s well worth dropping in if you’re in the area. Time it right and you can treat yourself to a rather good slice of cake in the tea shop too! 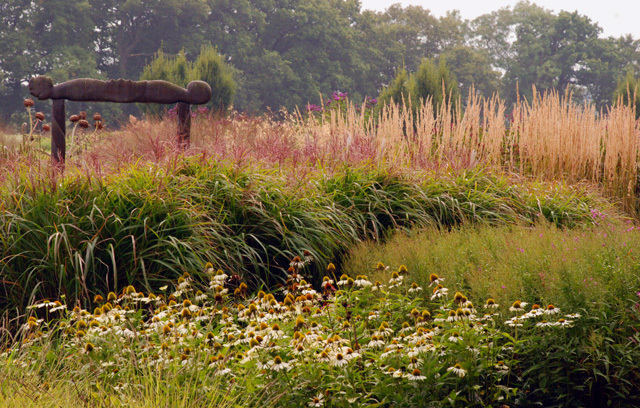 Full details about the garden are on the Sussex Prairies website. 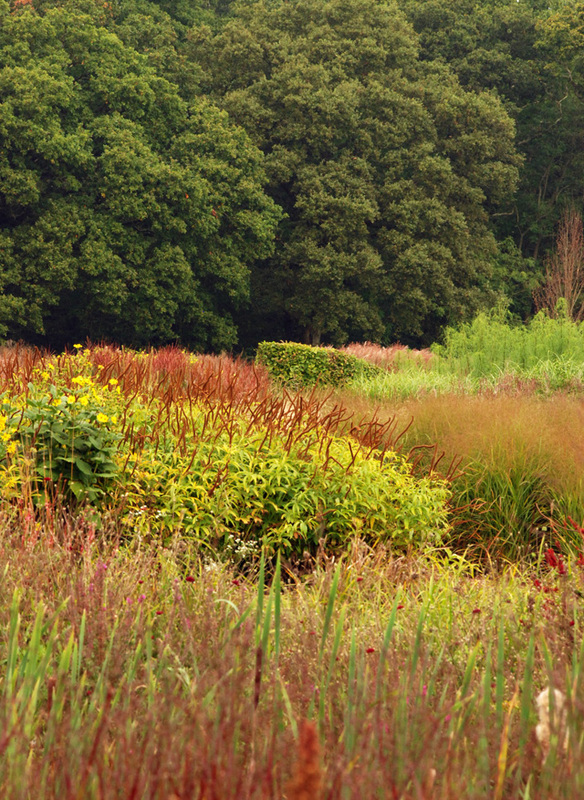 Lovely write up about our beautiful Sussex Prairies.. thank you so much ! the photos tell the story of how wonderful it can be in the autumn ! 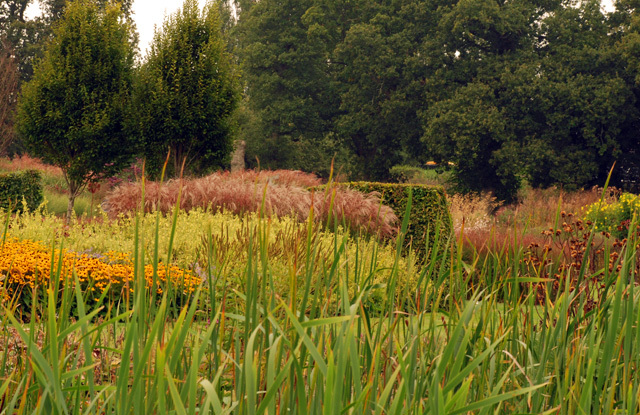 You’re so welcome Pauline – Perennial planting is certainly not only for the summer! Glad you enjoy reading Aleja!